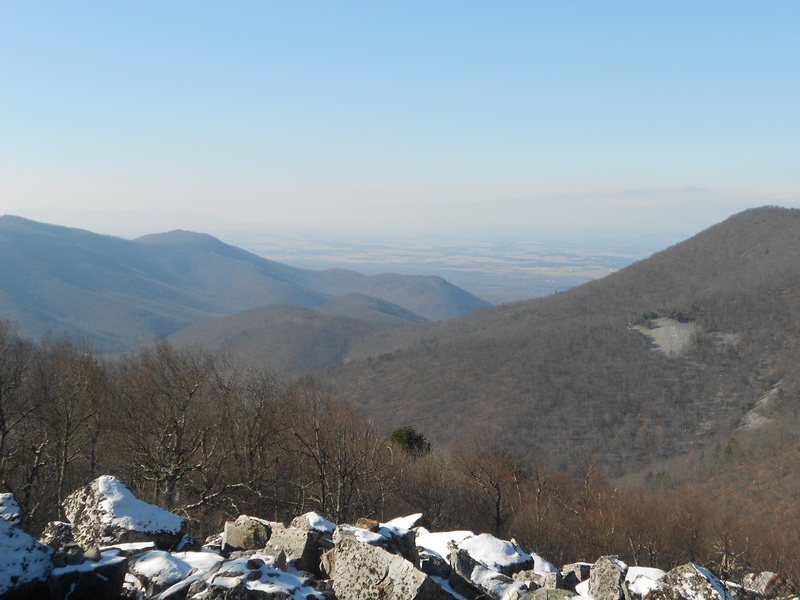 Route: From the first parking area at Sugar Hollow, ran six miles or so to the Shenandoah National Park, linking up with the Appalachian Trail at Black Rock Gap. 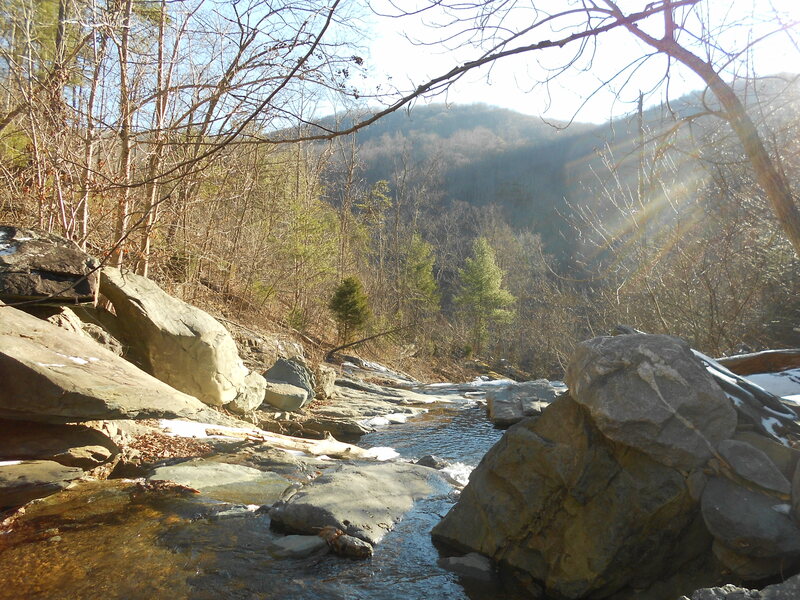 Followed the AT north to the summit of Black Rock, continuing north for another mile or so before heading back to Sugar Hollow. 16.25 miles total. 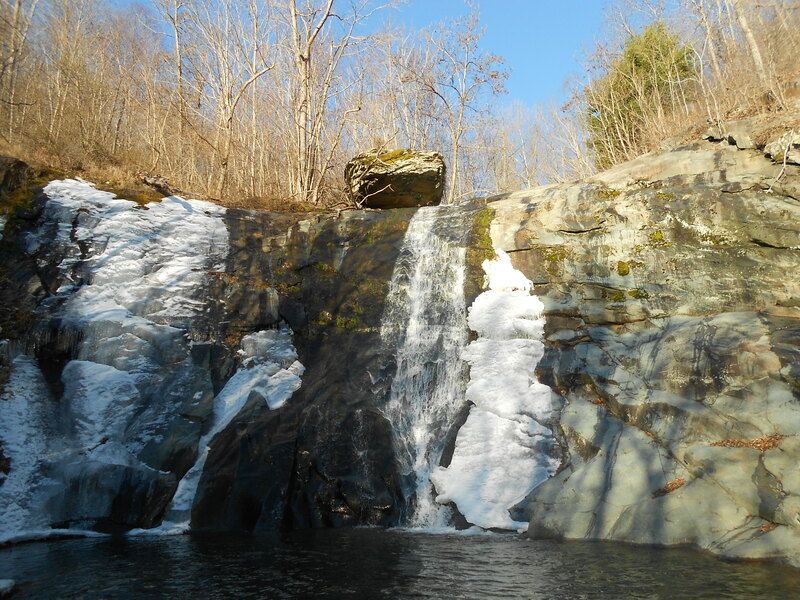 Shot of the waterfall at Sugar Hollow, taken shortly after I fell in a stream (the first time). Looking out from Black Rock Summit, where there was around an inch of snow on the AT.